Goldenseal Detox for Drug Tests - Fact or Fiction? Goldenseal has been buzzed about as a potential way to pass drug tests since the early 21st century. But is there any merit at all to a goldenseal detox when it comes to drugs? No, there isn’t. The fact is that there is no evidence of goldenseal being able to help you pass a drug test, at all. It’s an urban legend that won’t die, despite already being recognized as a myth 10 years ago. It gets to join the other common “mythbusted” home remedies like Palo Azul tea, cranberry juice and vinegar. It’s even tested for sometimes (or was, at least) by labs to reveal suspicous attempts of cheating a drug test. Even if it wouldn’t help you, it’d be a sign you were trying to cover something up because of how widespread this myth was. 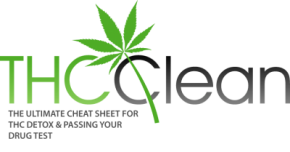 If you want to actually cleanse your system from drugs or THC, you should check this page out. Your best options to reliably pass a urine test are also described in this guide. Whatever you do, don’t put your faith in the hands of shady home remedies when it comes to drug tests. It’s just not worth it considering what’s often times at stake. Have you ever done a goldenseal detox? I’ve passed urine tests with goldenseal since 1996. The key is, to understand goldenseal is not a cover-up. It’s a natural root that, when taken properly, rids the body of toxins in general, not just THC. Now, I’m a regular smoker, and have been for many years. So for me, it takes about a week to get clean using goldenseal. After that week, just in case labs do look for it, I think it’s best to stop taking goldenseal. But it does work. It’s the only thing I’ve ever used to detox, and I’ll never use anything else, just in case they don’t work? On another note, I also use it when my tolerance is too high. Thanks for sharing Jeffery and glad it works so well for you. Personally I treat it as just one piece of the detox puzzle, same as niacin, Palo Azul tea etc. They are simply things that aid the body’s natural detox, but wouldn’t suggest them be relied on solely. Important to remember though that it working well for you does not mean it will so for everyone, similar to the Certo method which works for some and not others and also depends on the circumstances etc, so my advice to people reading this is take it with a grain of salt and always use a lot of at home testing when trying new things out to not risk too much. That last part though was interesting, hadn’t heard of it having that effect for anyone before!